Stocks are ending mixed on Wall Street after an early gain on excitement over a new trade between the U.S. and Canada faded. Larger stocks ended mostly higher Monday, but smaller and mid-sized companies fell. The price of U.S. crude oil closed at a four-year high, which helped energy companies. Tesla soared 17.3 percent after Elon Musk reached a settlement with regulators that will cost him the chairman’s title but will let him remain CEO. The S&P 500 rose 10 points, or 0.4 percent, to 2,924. The Dow Jones Industrial Average climbed 192 points, or 0.7 percent, to 26,651. The Nasdaq rose fell 9 points, or 0.1 percent, to 8,037. Bond prices fell. The yield on the 10-year Treasury rose to 3.09 percent. 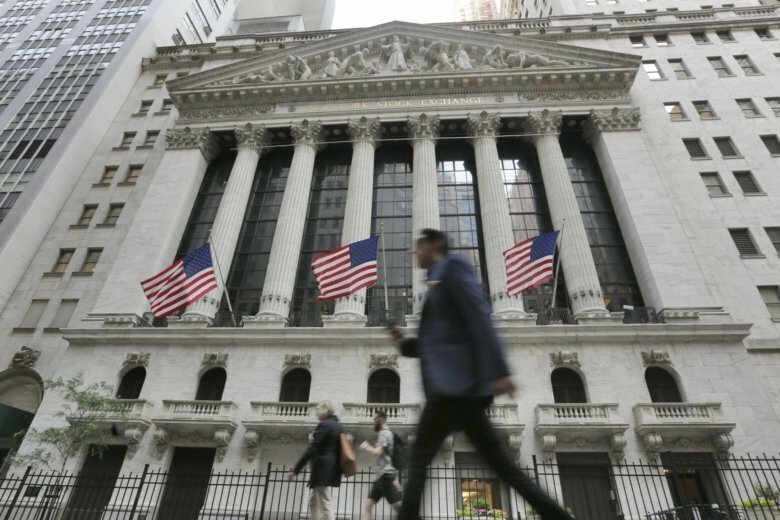 Stocks are solidly higher on Wall Street after the U.S. reached a trade deal with Canada. General Electric jumped 10 percent Monday after ousting chief executive John Flannery, who was on the job about a year. GE is still down by about half over the past year. Tesla soared 15.3 percent after Elon Musk reached a settlement with regulators that will cost him the chairman’s title but will let him remain as CEO. The S&P 500 rose 20 points, or 0.7 percent, to 2,934. The index is on track for another all-time high. The Dow Jones Industrial Average climbed 272 points, or 1 percent, to 26,730. The Nasdaq rose 41 points, or 0.5 percent, to 8,087. Bond prices fell. The yield on the 10-year Treasury rose to 3.07 percent. Stocks are opening broadly higher on Wall Street, led by big gains in industrials after the U.S. reached a trade deal with Canada. General Electric jumped 14 percent in early trading Monday after ousting chief executive John Flannery, who was on the job about a year. GE is still down by about half over the past year. Tesla soared 15.7 percent after Elon Musk reached a settlement with regulators that will cost him the chairman’s title but will let him remain as CEO. The S&P 500 rose 17 points, or 0.6 percent, to 2,930. The Dow Jones Industrial Average climbed 185 points, or 0.7 percent, to 26,644. The Nasdaq rose 52 points, or 0.7 percent, to 8,099.